Idaho Power’s operations influence the Snake River. However, there are many other factors affecting the flow in the Snake River, including spring flows, irrigation demand, flood control, snowpack, navigation and special flows for salmon, construction projects and local events. Call 1-800-422-3143, toll-free, or use the links below for the latest stream flow and reservoir water level information. See our river flow projections for the Snake River below Hells Canyon Dam. 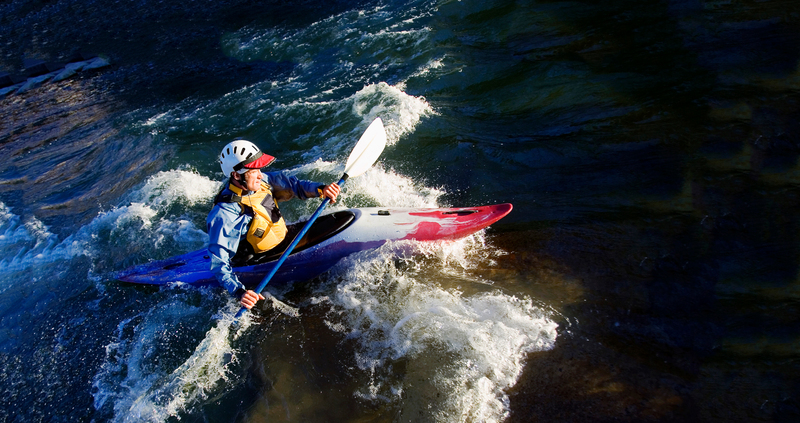 Find maps and flow information about various locations on the Snake River and its tributaries. Find water temperatures and dissolved oxygen levels at specific sites. We believe our role is to serve not just our customers’ need for power but to do it in a way that serves the environment in which we live. That’s why water quality is at the top of our list. Learn more about possible whitewater releases for the Milner Mile, officially listed as the Milner Bypass Reach of the Snake River. Each year, tens of thousands of people visit waterways and parks near Idaho Power dams. We think the more you know about dams, the safer you’ll be. Get instructions for using Idaho Power’s Wi-Fi Flow Monitoring System in the canyon. Learn more about water levels and flows.